As with any marketing campaign, your promotion strategy is just as important as the asset itself. In other words, you should spend just as much energy thinking through your video marketing plan as you did creating the video. In this guide, we’ll cover two main areas related to video marketing: how to use online videos for marketing and video marketing automation. From your website to emails to social media, you can highlight video in almost all your marketing channels. But, that doesn’t mean you should go overboard and add videos to every piece of customer communication. Instead, test it with one or two channels to measure the response. Or, perhaps you choose to add videos only to your highest converting pages on your website. Email marketing: Video naturally works well with email marketing, especially nurture campaigns or onboarding emails. For example, you could include a product demo video in your welcome email to new customers. Or, send a series of FAQ videos in your onboarding series (we’ll talk more about video and email marketing in the video automation section, coming up next). Website: Reduce chunks of text on your homepage and website by using video instead. Feature customer testimonial videos on your homepage, replace help center articles with how-to videos, or add a recruiting video to your careers page. Social media: Facebook, Twitter, and Instagram are where you can really get creative with video. Experiment with user-generated videos, live videos, or Q&A videos — but remember to keep them short and sweet! Blog: Not everyone wants to consume information by reading, so supplement your most popular blog posts with a video. Or, create a whole new video series that can be featured on your blog. A great example of this is the Whiteboard Friday series, produced by SEO software provider, Moz. Each week, the team produces an educational, how-to video related to SEO and marketing and posts it on their blog. Landing pages: Surprise and delight your customers with a thank you video that plays after a customer converts on a landing page. For example, show a thank you video after someone fills out a form to download a piece of content. The most powerful way to include video in your marketing activities is to leverage automation. Automation can sit on top of a lot of the ideas we covered in the section above, but the difference is that automation sets up rules for the platform to follow and creates content for it to automatically send. It does require an investment in automation software, but it can save you hundreds of hours per year once you have it up and running. Since video is so engaging, it’s a great way to capture contact information from visitors to your website and other online pages. A marketing automation platform will instantly upload that information to a central database and create a new contact record, so you don’t have to do it manually. 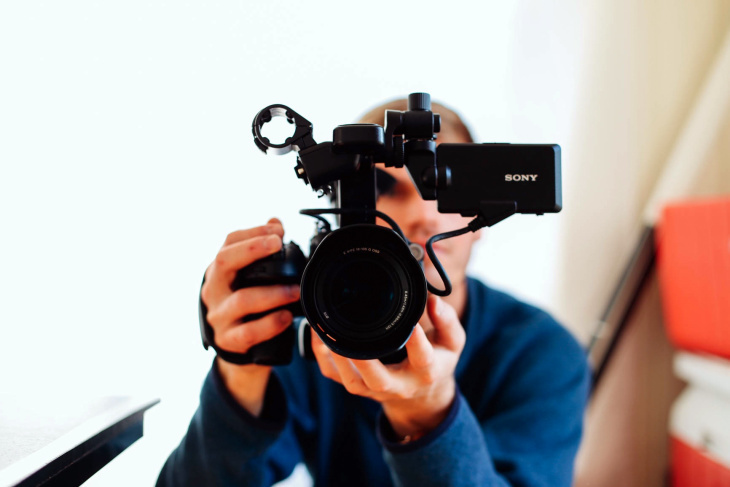 There are two basic ways to capture leads with video. Both utilize lead forms, which are simply online forms that allow a contact to submit their information in exchange for something from you. The first way to capture leads with video is by placing your video and your lead form on the same page, as Clever Investor has done. The page features a video that gives the viewer a sampling of the in-depth information they will receive through the company’s mentorship program. It closes with a verbal call to action (CTA) inviting the viewer to complete a form on the page to view the next video in the series. With marketing automation, Clever Investor can use this information to its advantage—“tagging” the lead that viewed a 12-minute video as more engaged and interested in this specific product. When it’s time to follow up, Clever Investor’s sales team will have much more insight into the buyer than a simple name and email address. The second way to capture leads is within the video itself. Most popular video platforms allow you to embed CTAs within their video players. Options range from simple text and links on platforms like YouTube, to custom forms on more advanced platforms. You can insert a lead form pre-roll (before the video plays), mid-roll (as the video plays), or post-roll (after the video has played). Once a lead’s contact information has been stored, you can use marketing automation to nurture them along until they are sales ready. 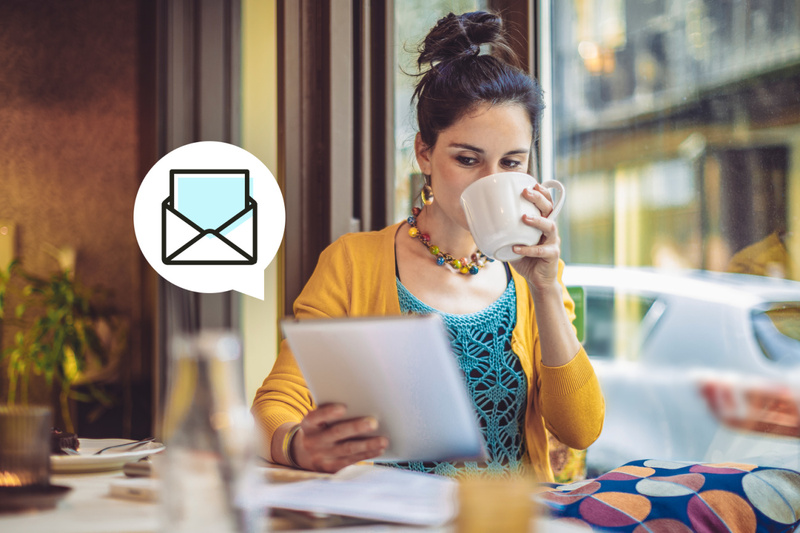 A nurture campaign is a series of personalized emails designed to move a lead to purchase. The content of those emails is based on who your lead is, how they behave, their likelihood to buy… really, whatever criteria you tell your marketing automation platform to use. For example, when leads are brand new to your business (at the top of the funnel), you might send them a welcome video letting them know what they can expect by signing up for your emails. Keep these videos short (under a minute), since this segment of your audience isn’t fully engaged with your business just yet. For leads further along in their journey, you can use slightly longer videos that speak more specifically to your product or service. Throughout the journey, you can use videos to promote other assets, invite leads to events, showcase a product or service, tour your facility, feature a satisfied customer—there are hundreds of options. Qualifying a lead means evaluating their “sales readiness,” or how likely they are to purchase from you. Most marketing automation platforms use a ranking system called lead scoring to determine a lead’s qualification status. As a lead moves toward a sale, their lead score increases. With marketing automation, you can choose what signals should increase a lead’s score. How much video did they consume overall? How much content was viewed and when was the drop off? What topics were they most engaged with? These signals can help determine what content to send to the prospects throughout their customer journey. We all want our marketing videos to go viral, but virality is not the only measure of success (nor is it the best). A video may not have hundreds of thousands of views, but if it has a high level of engagement from your core audience, it has done its job. Here are some metrics to track video marketing success. Play count: Play count is the most basic metric for your videos. Simply put, play count tells you how many times people pushed play. Each play is counted once, which means there’s no distinction between a person who clicks once and only watches a few seconds, and a person who plays the video several times. While it’s tempting to think that a video’s success relies on getting played a certain number of times, that’s not necessarily the best measure of your success. Your success on this metric has everything to do with your audience. Play rate: When you embed a video on your web page, you suddenly have two metrics to work with: page views and play count. Put them together, and you have play rate. Play rate is the percentage of visitors to your page who watch your video. This can give you powerful insight into things like what kind of video content your audience responds to or how best to set up your page so that your audience is more likely to play the video. This metric is a strong indicator of engagement, while also giving you insight into how to design your web pages to optimize engagement for video. Click-through rate (CTR): Everyone keeps talking about the power of video, and click-through might just be the big thing that got the attention of marketers. You can measure click-through rates anywhere you have video. When you embed a call to action (CTA) in your video, it’s a snap to track click-throughs. Click-through is a great way to measure your success with lead nurturing and conversion. Social engagement: When you post your videos on your social feeds, you can track what’s happening on those channels to get deeper insight into how people respond to your videos. All the major social platforms provide analytics that make it easy to track engagement, including Facebook Page Insights, Twitter Analytics, YouTube Analytics, and others. Heat mapping: Heat mapping, via video platforms like Wistia, provides powerful insight into how your audience digests your video content. The heat map will tell you exactly what sections of your video are getting the most attention and which sections aren’t. See what sections of video people are watching, skipping over, and which sections people are re-watching. The popularity of video marketing is both a good and bad thing. It’s good because it shows that there is clearly a demand for it. It’s bad because the more videos that exist, the harder it is to create great video content that stands out. Keep it short. The optimal lengths for your videos will vary depending on your platform, but in general, try to keep it under two minutes. Tell a consistent message across different content platforms. Consistency across all your marketing efforts is key to gaining consumers’ trust. Let your personality shine. This doesn’t mean pushing a personality that isn’t your own. Don’t try too hard to be entertaining, funny, or something you’re not. Viewers respond best to honesty and transparency in video content. Give value. Just like text content, your video should be relevant to viewers and offer something of value. Tell a great story, give a reward such as a discount code, or offer actionable advice. Include a call to action: The hard part is getting people to watch your video. Once you have captured their attention, make sure to include a call to action during the video or at the end to tell that what the next step is. Optimize for SEO: Although you’re using a video platform, you can’t ignore written content completely. Use keywords in your video title, tags, and description. Try using the Google AdWords Keyword Tool to generate five or six strong words to use in your description. Make the description clear and concise, fitting the keywords in naturally. Video marketing is an amazing way to develop a high brand awareness. The more people get to see your videos, the more your brand will win long-term. If your videos are high quality and they are “winning the customer’s heart,” they’ll associate certain feelings with your brand’s name, product, or service. That is an emotional connection, which will eventually influence many more purchasing decisions down the line, paying dividends over time.